In this June 1973 photograph, Skylab 2 pilot Paul J. Weitz operates the control and display console of the Apollo Telescope Mount solar observatory. Weitz, along with Commander Pete Conrad and science-pilot Joe Kerwin successfully completed a 28-day mission aboard Skylab, which was the first crewed mission to the first U.S. space station. Launched aboard a modified Saturn V rocket on May 14, 1973, Skylab marked a new phase for American’s human spaceflight program, with the goal of staying in space for longer periods and conducting complex scientific experiments in the unique environment. The Skylab 2 mission lasted from May 25 to June 22, 1973. Weitz died at his retirement home in Flagstaff, Ariz., Oct. 23, said Laura Cutchens of the Astronaut Scholarship Foundation. No cause of death was given. 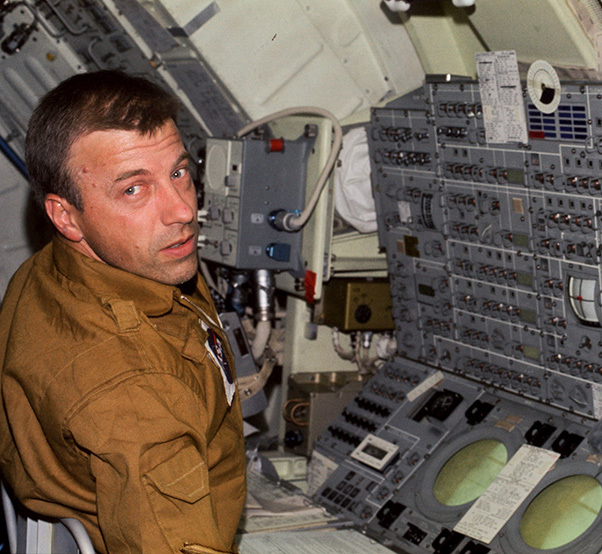 Weitz also commanded the first launch of the shuttle Challenger in April 1983. The five-day mission took off from the Kennedy space Center in Florida and landed at Edwards Air Force Base in California. The Challenger was destroyed and seven crew members killed during its 10th launch on Jan. 28, 1986. Weitz was born in Erie, Penn., July 25, 1932, and graduated from Pennsylvania State University with a degree in aeronautical engineering in 1954, according to NASA. 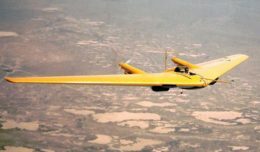 He then joined the Navy, serving on a destroyer before being chosen for flight training and earning his wings as a Naval Aviator in September 1956. He served in various naval squadrons, including service in Vietnam, before joining the Astronaut Corps. 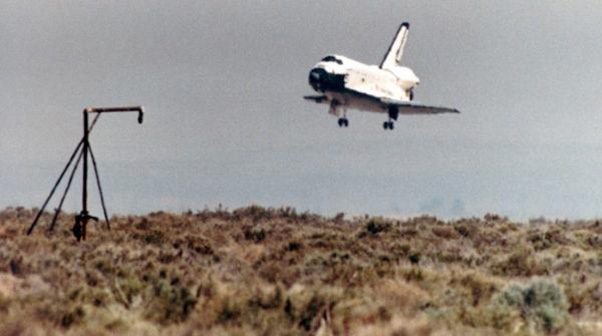 Space Shuttle Challenger, STS-6, lands at Edwards Air Force Base, Calif.